The decision of the Trump Administration to halt all funding for UNRWA, the UN agency responsible for 5.4 million Palestinian refugees, and its attempts to redefine who qualifies as a “refugee” in this context, marks another egregious example of Washington’s disregard for international norms and humanitarian law in the Israeli-Palestinian conflict. The ultimate fate of those refugees who fled their homes or were forcibly expelled in the war that led to the founding of the State of Israel in 1948 – and of their descendants, now into third and fourth generations – has long been one of the most contentious issues in the conflict. The “right to return” is seen by Palestinians and their supporters worldwide as a matter of natural and historic justice. After all, this is exactly the same right as all other refugees - for whom UNRWA’s sister agency, UNHCR, is their guardian - enjoy. As most objective observers of the conflict, as well as leaders on both sides, are well aware, in practice the “right” is never likely to be implemented. This author incurred the indignant wrath of many by foolishly making this same, self-evident, point in public at a conference in Washington eight years ago. Despite being in effect a strawman, it is nevertheless vigorously contested by Israelis, fearful of the anticipated consequences on the Jewish state’s identity. Being registered with UNRWA means that those individuals, or their forebears, were living in British Mandate Palestine in the two years prior to Israel’s declaration of independence and were left homeless and without any form of livelihood. Those enrolled were not just needy Palestinian Arabs; they included Armenians and Jews for example. Their precious UNRWA identity card entitled them only to receive basic welfare – not to return home; that task was left to the political negotiators. But, thanks to the political deadlock that has persisted since 1948, what was intended to be a temporary agency that looked after indigent people until they were able to return to their original homes in Israel or Palestine has, over the years, assumed an air of permanency. Blame for this sad state of affairs can be shared widely; but it would be grossly unfair to blame the refugees’ foster parents at UNRWA, whose vocation is to create self-sufficiency. There can, however, be no disguising the real intentions of the authors of the recent US decision, the US President’s closest advisor and son-in-law Jared Kushner and his UN envoy Nikki Haley. Nor of the ideological animus that drives them on. Their aim is to dramatically redefine who is deemed to be a Palestinian refugee. If successful, according to this mistaken view, only those who originally fled from British Mandate Palestine 70 years ago and not their descendants, will qualify. Over 90 percent would be disenfranchised. At a stroke, the supposed threat to Israel posed by the “right of return” will – theoretically - have been ended. 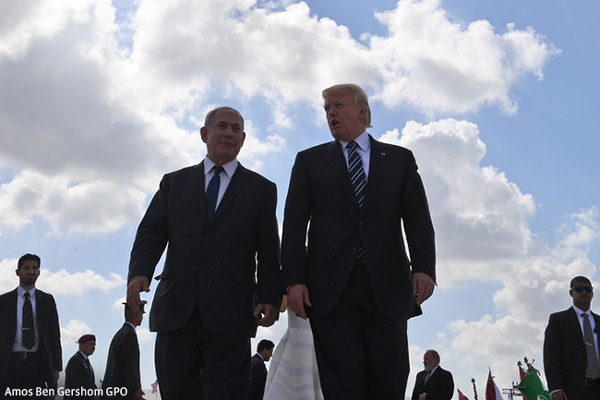 The Trump Administration makes no bones of its wish to use this moment in the Middle East to strongarm the UN and the refugee host countries into changing decades of established international practice in a way that suits Israel. In effect, they want to remove the thorny Palestinian refugee question from the negotiations table, just as they attempted over the status of Jerusalem as a capital city. Neither goal is likely to be achievable. Jordan has already made clear its rejection of the US offer of generous funding in return for fully absorbing its 2.2 million Palestinian refugees. Bringing a similarly mercantilist perspective to its UNRWA funding as it has to other foreign commitments, including NATO, the Trump Administration has also argued that it has shouldered a disproportionately large burden which now needs to be redressed. A quick look at the UNRWA donors table should make clear who is really doing the heavy lifting. There is certainly an argument that the Arab Gulf states could and should do much more. Yet in this instance, Jared Kushner would do well to learn something about the origins of the prosperity of those Gulf states he and his father-in-law admire so much. Long before the oil price explosion of the mid-1970s, the economic backbone of these states – nurses, doctors, teachers, lawyers, engineers and so on – were the Palestinian refugees. Where were most of them first educated? UNRWA schools and vocational training centres. Another pervasive myth is that UNRWA’s practices differ from those of UNHCR in key respects. It is argued for example that only UNRWA registers the descendants of refugees, allowing the numbers of beneficiaries to grow exponentially. Here the US Administration is plain wrong. By contemporary international standards based on gender equality in fact UNRWA undercounts the numbers who should be entitled to its services. In line with the policies of the host countries, it registers only the children of male refugees. In recent years Israel has been adamant in refusing to allow any refugee returns, even on humanitarian grounds, not even to the territories it has publicly agreed should form part of the future Palestinian state. But it was not always so. In the early 1950s, Israel negotiated over the return of at least some of the 700,000 who fled. Views hardened later. 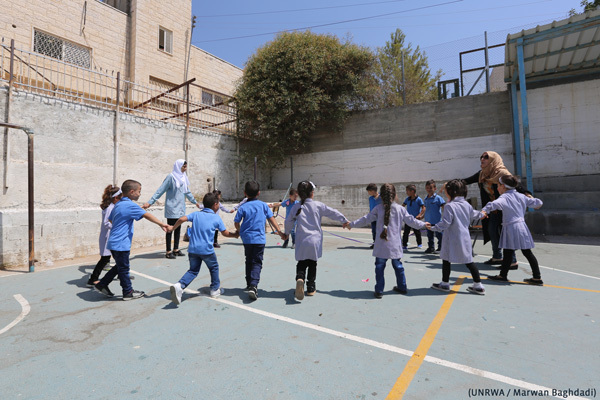 To this day, UNRWA remains a force for stability in a chaotic, troubled region. It should be supported unequivocally – financially and politically – by all states, in the region and further afield. This is not a Western problem alone. In the course of a long UN career, Andrew Whitley worked as UNRWA’s Director of External Relations from July 2002 to April 2006, and then as Director of its North America Office to December 2010, where he was responsible, inter alia, for relations with Washington. He worked for The Elders as Director of Policy and Advocacy, and then interim Chief Executive, from 2011 to 2016.